Among many sake brewers in Shiga, 'Hagi-no Tsuyu' is the most popular and these're the fruit liquors of it. Especially, lemon liquor is highly admired for its nice sourness. The alcoholicity is lower and people who don't like sake can enjoy the taste.◎You can buy it at brewery but they're often closed. In that case, you should visit Fukui Ichinoshin Shoten Store. 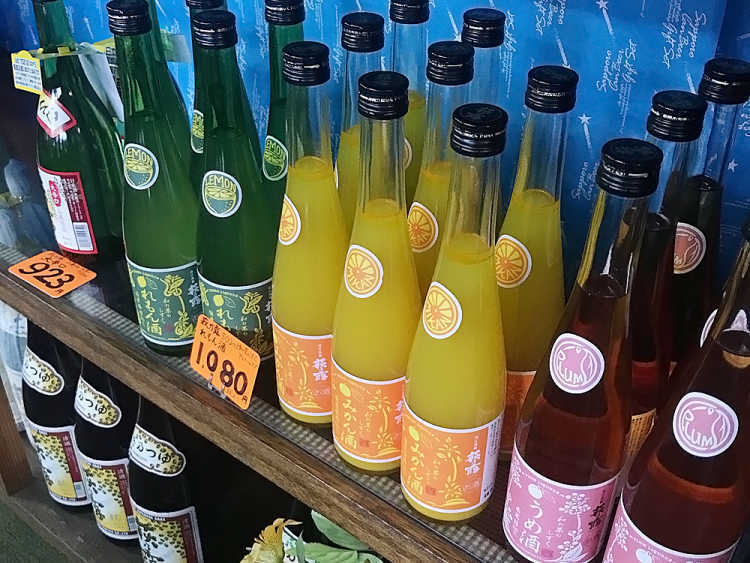 You can buy the local sake, wine and other specialties.